Better, but not overwhelmingly so. 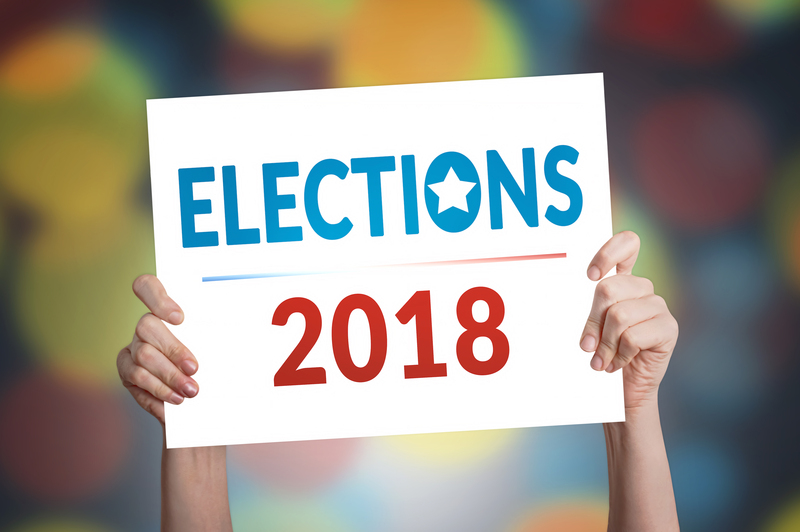 Over this same period, data from the Texas Secretary of State’s Elections Division shows that 77.3% of TxA members have voted in at least one election since 2014. We don’t have a specific general populace number to compare that with but are confident that whatever that percentage is, it is well below TxA’s over-75% mark. 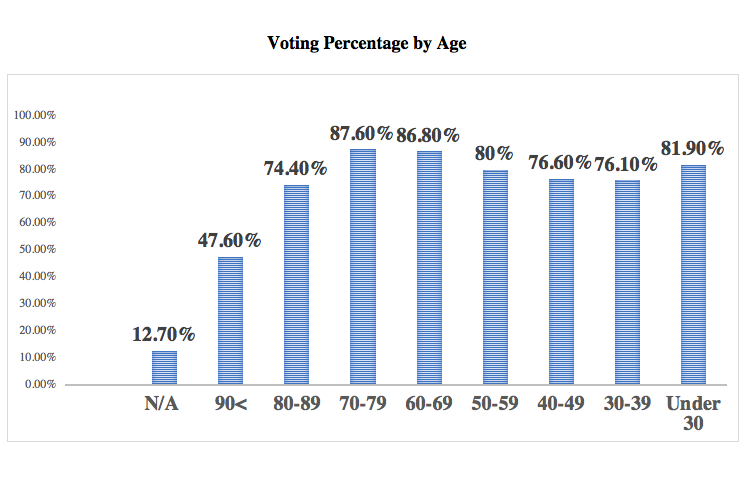 The big questions now are: will you vote at that higher rate than the general population does in the 2018 General Election; and, 2) more importantly, will voters again participate at comparably higher rates (36.5%) in the general election relative to the primary voters? 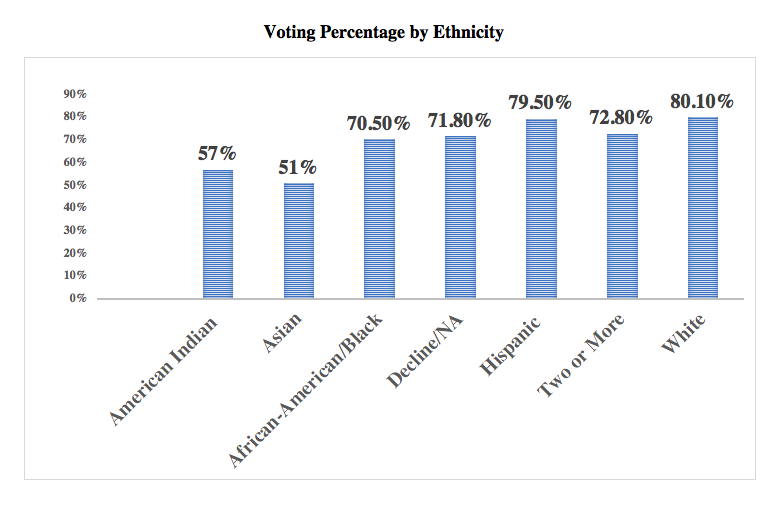 In doing the side-by-side comparison of our membership roster with the SoS voting history records from 2014 forward we came up with a huge amount of data, which allowed us to look at our membership several different ways. 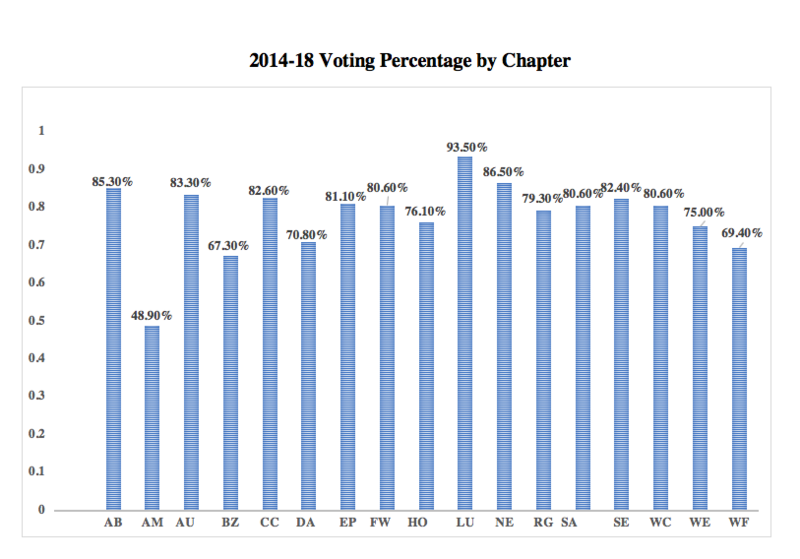 Among staffed chapters, Austin is #1 with 83% down to Dallas’ low of 70%; all the others are within a five-point range from the mid-70s to low 80s.